Have you seen that Shannon Cook has a new dress pattern coming out soon? 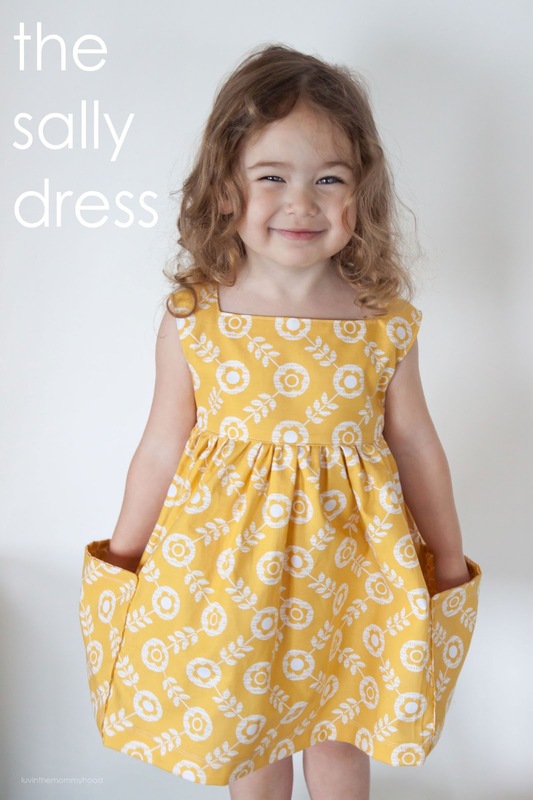 It’s the rather adorable Sally Dress…. It has a fab square neckline, that’s wide enough to slip on over the head (no tricky fastenings), the skirt gives good twirl and the biggie…there are massive pockets! I am privileged enough to have been selected as one of Shannon’s pattern testers and I’m loving doing a bit of sewing as a break from drafting finger puppet patterns on the PC. Too much time spent at a laptop and not enough time in front of a sewing machine of late! 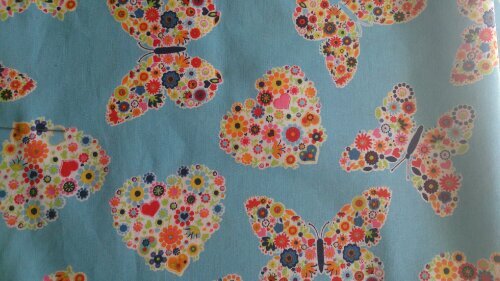 I am making up a dress in a 4T for Charlotte in this fabric…. As soon as I can I will share with you my finished dress. It’s looking great so far and Charlotte is looking forwards to a new dress!